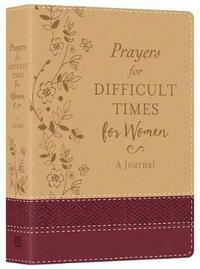 Journal Your Prayers through Difficult Times Here's a beautiful journal that is an encouraing, practical guide of short prayer starters that will help you pray confidently during challenging life situations. From illness and relationship issues to struggles with self-esteem and daily life stresses, more than 50 topics are covered. Each section opens with a short devotional thought and applicable scripture, and prayers are set alongside ample journaling space where you can chronicle your own conversations with Your heavenly father, who holds you in the storms of life. 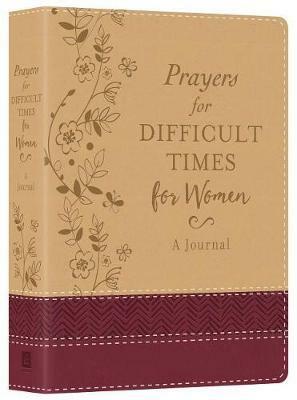 Great as a ministry resource or for your own personal library, Prayers for Difficult Times Women's Edition Deluxe Journal is a must-have tool if you desire a deeper, more powerful prayer life.